While not making an official statement on this paradigm shift, it appears that Russia is adding more pressure to Europe's economic plight as the Eurasian power is decreasing oil sales to the continent while at the same time increasing their output to China. 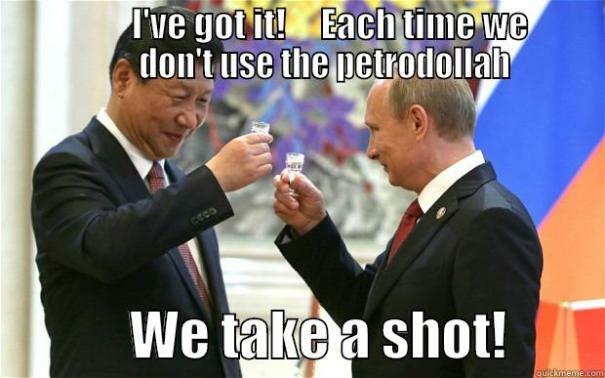 China has significantly boosted oil imports from Russia, while the latter has been selling less crude to Europe. An analyst told RT that Beijing has become a more preferable partner in the oil trade for Moscow. RT’s source in Russia’s largest oil exporter Transneft has said that since January 1, the country is pumping more oil to China, while exports to Europe have plunged. Earlier, Bloomberg reported that Russia will have shipped 19 percent less oil through its ports on the Baltic and Black Seas in the first five months of 2018, and sold 43 percent more oil to China through March.